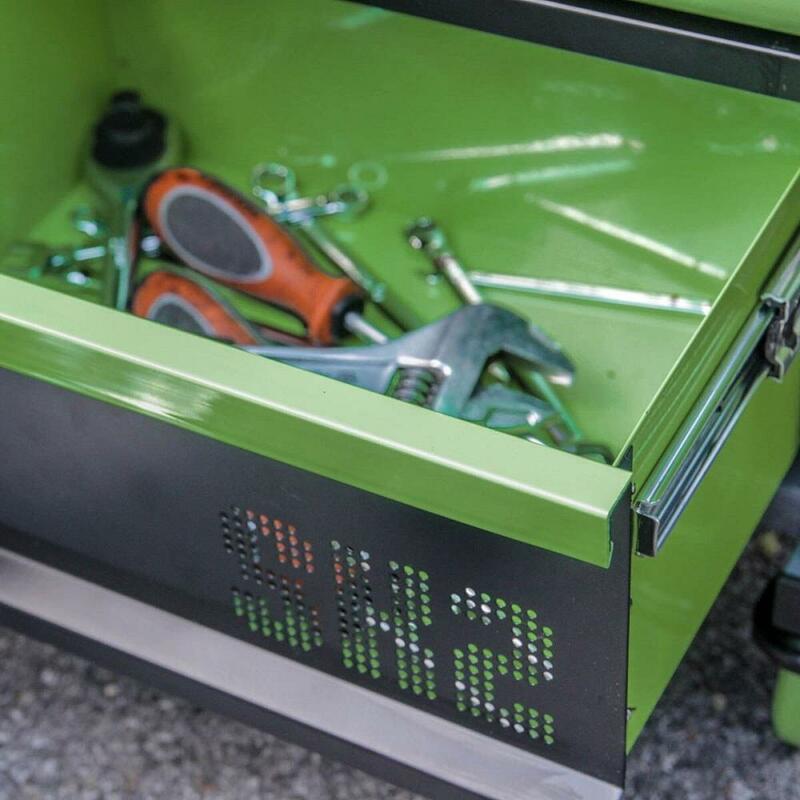 Everything you need is within reach with this awesome garage stool. 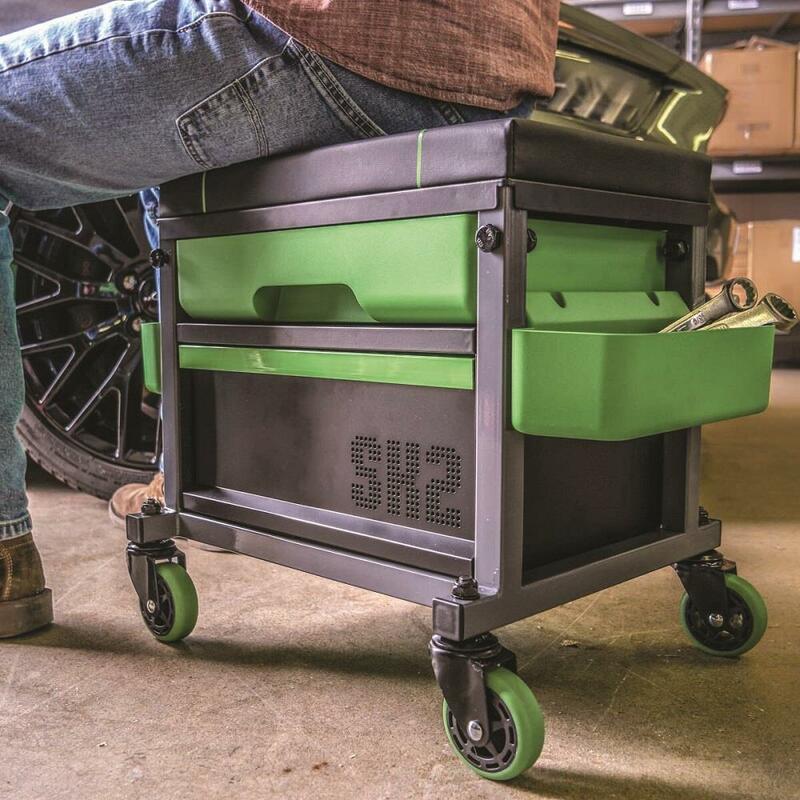 The Mychanic Sidekick Stool 2.0 has a weather-resistant heavy-duty steel frame to support up to 350lbs, and it rolls smoothly and quickly on 3” rubber swivel casters, with seating that adjusts from 17.75”- 20.75”, and thick padded cushion for extra comfort. 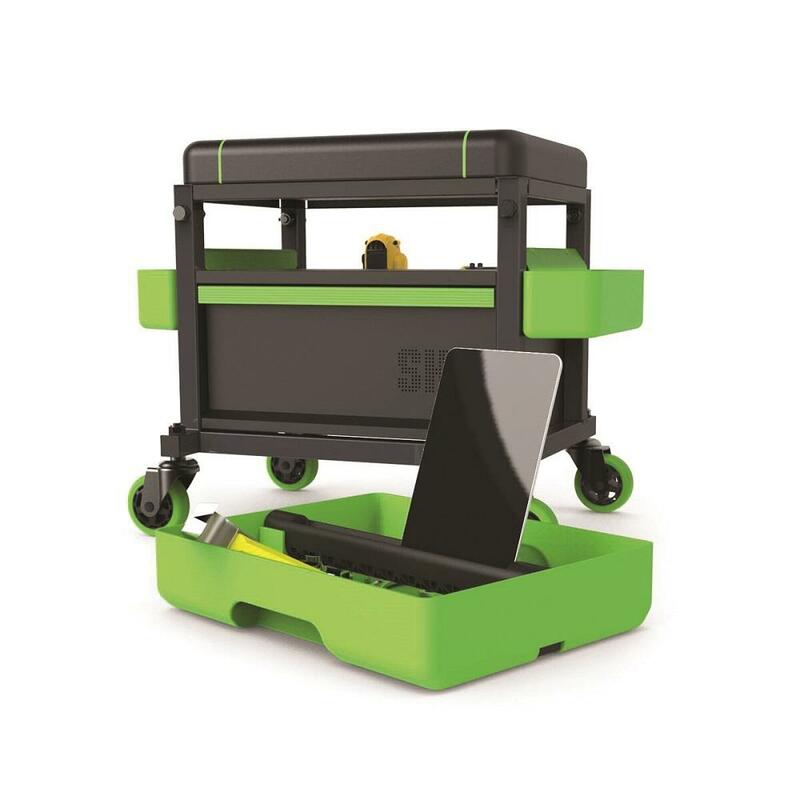 The stool is fitted with removable tool caddy with mobile device stand, large storage drawer, two hardware bins, and power tool holster. Meaures 22”W x 15”D x 17.75”-20.75”(H). 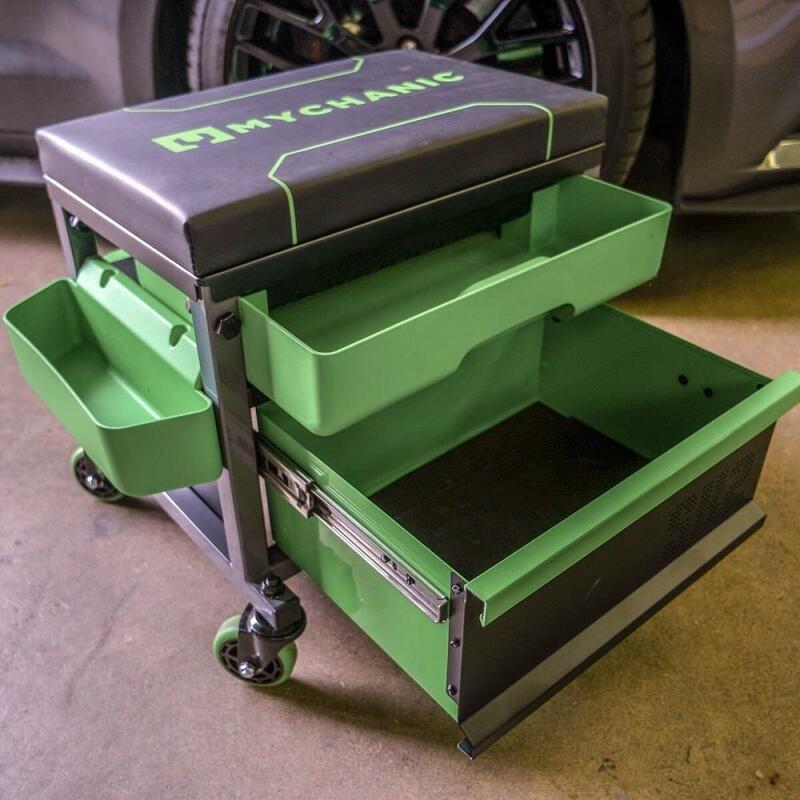 Full of function and thought, our new garage stool brings modified to a new level. 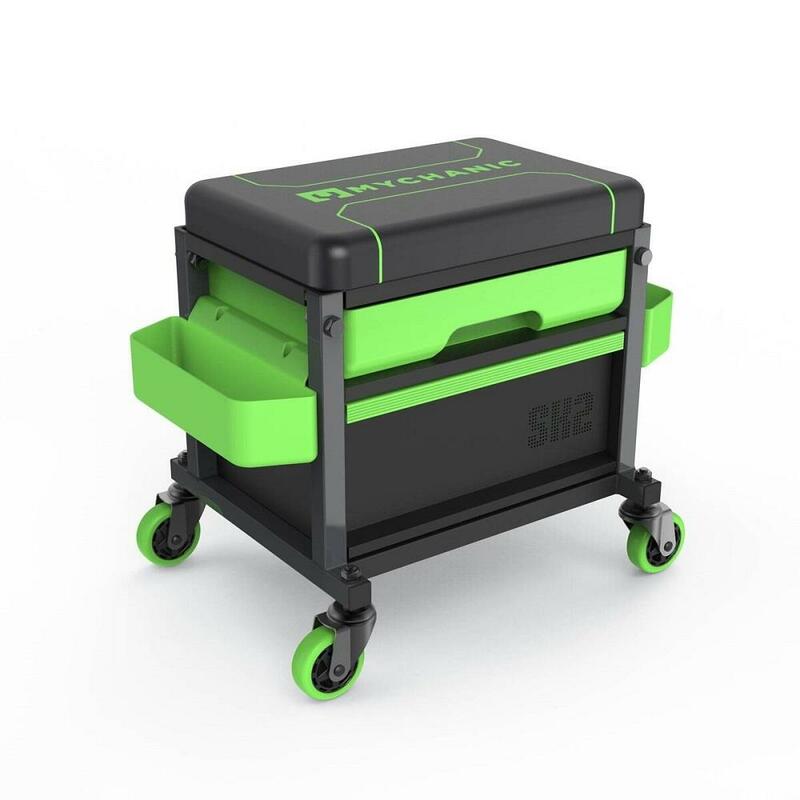 From the adjustable height seat, removable tool caddy and stand for your mobile device, this shop stool is the opposite of stock. ADJUSTABLE | Cushioned seat raises from 17.75" to 20.75" for a perfect height. 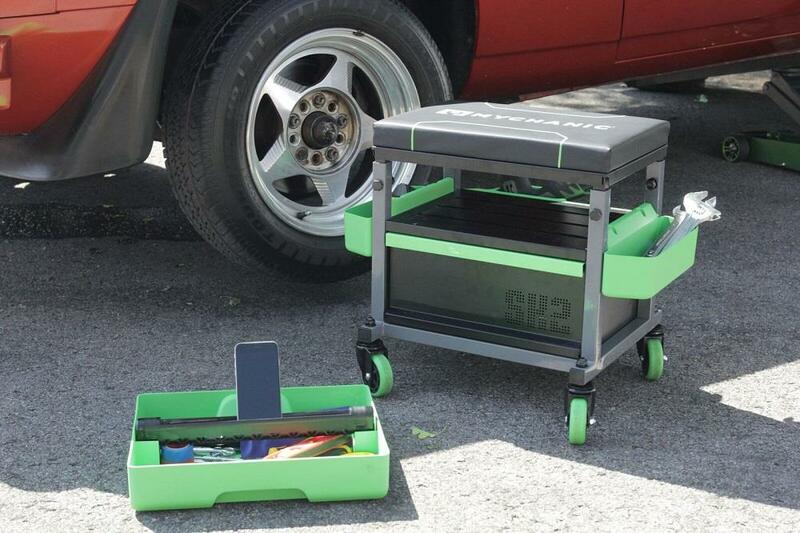 DURABLE | Powder coated steel frame supports up to 350 lbs with ease. 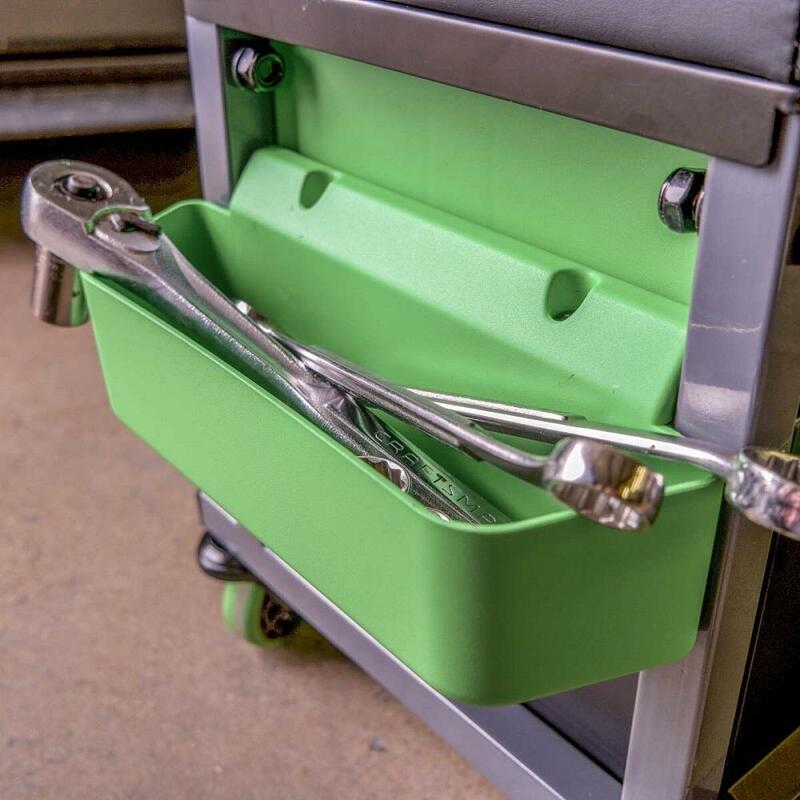 PORTABLE | Removable tool caddy with mobile device stand keeps everything handy. 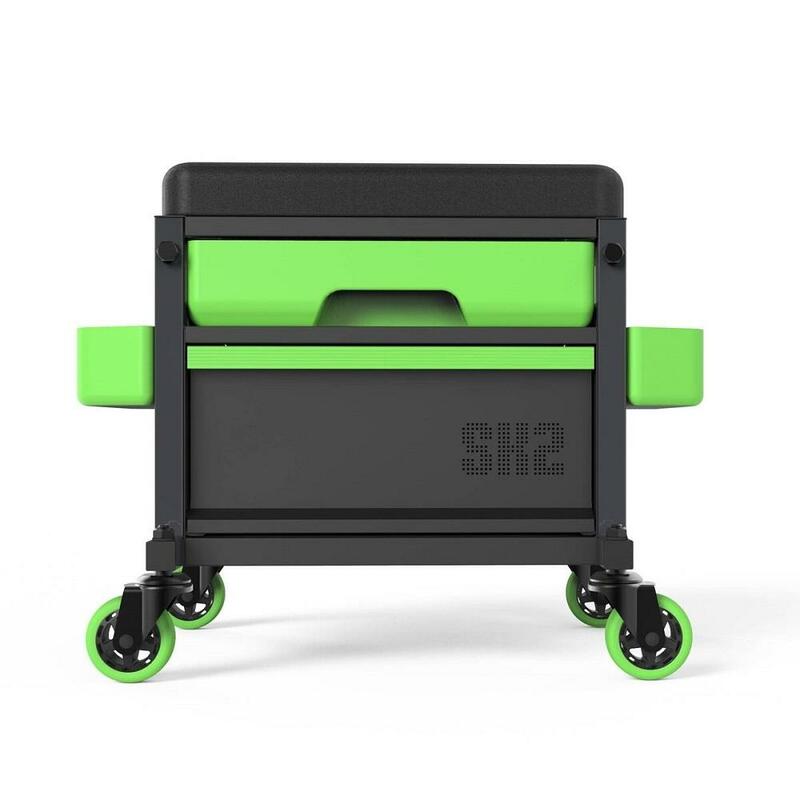 OVERSIZED | 3" speed casters easily glide over rough surfaces. 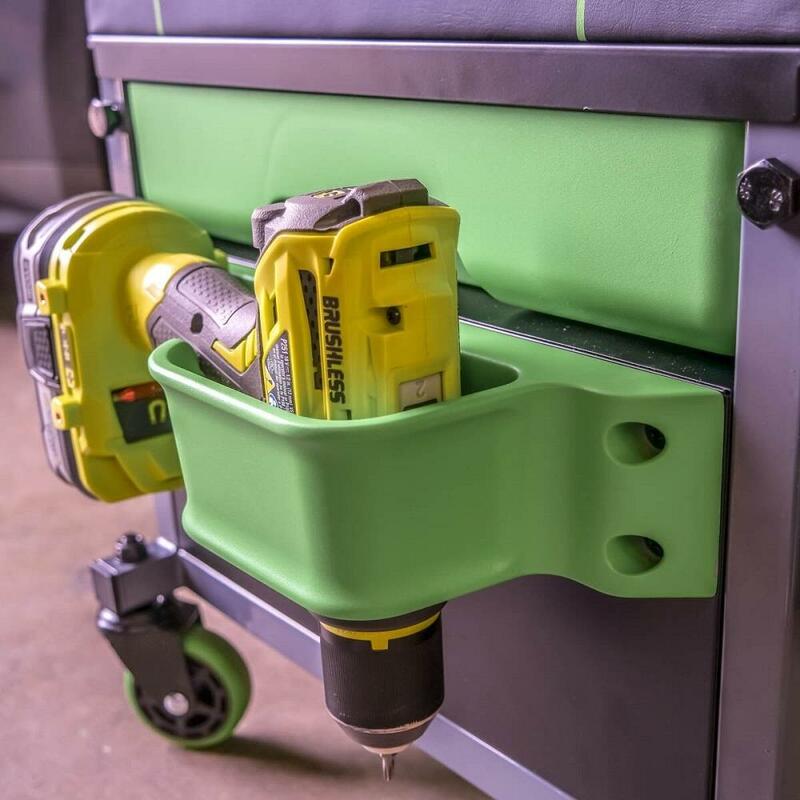 ACCESSIBLE | Power tool holster and bins for the things you need the most. SPACIOUS | Deep padded drawer slide on ball bearings. 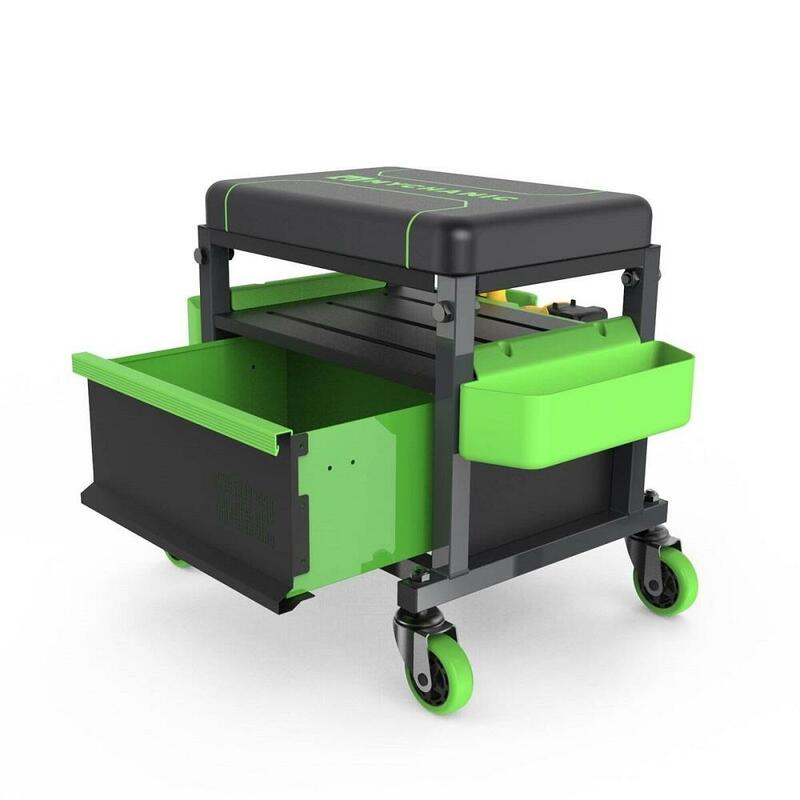 This product is warranted to be free of defect in materials or workmanship for two years from the date of purchase for the original purchaser. Click here to read our full policy. The warranty is from the date of purchase for the original purchaser. Proof of date of purchase will be required. Please use the form below to initiate a warranty claim. Note: The manufacturer is not responsible for any consequential or incidental damages arising from the breach of this or any other warranty, whether express, implied or statutory. Some states do not allow the exclusion or limitation of consequential or incidental damages, so the above exclusion may not apply to you. This warranty gives you specific legal rights, and you may also have other rights which vary from state to state. Valid only in the USA.